Singgih S. Kartono, Magno Wooden Radio. LONDON.- The winning entries in each category of the Brit Insurance Design Awards 2009, awarded to the most progressive and forward thinking designs from the past 12 months, are: New Oslo Opera House for Architecture, Vogue Italia: A Black Issue for Fashion, MYTO chair for the Furniture category, and the Graphics category is awarded to the Barack Obama Poster. Interactive goes to Make Magazine, Magno Wooden Radio wins Product and the Transport winner is Colombias Line-J Medellin Metro Cable. The winning entries represent a snapshot of contemporary design and demonstrate the role that design plays at a global level. Ranging from Shepard Faireys iconic Obama poster, to the economically sustainable Magno Wooden Radio and the multi-functional landmark of the New Oslo Opera House, the international winners are spread across Indonesia, Colombia, USA, Norway and Italy. The seven winning designs will now contend for the prestigious accolade of Brit Insurance Design of the Year 2009, to be revealed at an awards dinner hosted by Channel 4 design presenter Naomi Cleaver, at the Design Museum on 18 March. The winning designs, along with the rest of the shortlist, are currently on show at the Design Museum until 14 June. The Norwegian National Opera and Ballet, in Oslo is located on the Bjørvika Peninsula overlooking the Oslofjord. The design by Snøhetta won the international competition in 2000 with the plans to provide Norway with a landmark building, offering a stage to showcase Norwegian culture. Also at the centre of urban redevelopment, it now provides a new dynamic public space, attractive for visitors as well as an area for locals to enjoy. The building features dramatic angles that literally dive into the fjord, allowing the visitor to take in the entire structure from ground level as well as appreciating the views as they ascend to the top of the building. The structure also combines a series of architectural features created in collaboration with a number of artists. In July 2008, Italian Vogue dedicated an entire issue to black models focussing on successful, black women. The editor, Franca Sozzani entitled the magazine: A Black Issue, featuring some of the leading black models within the fashion industry and editorial celebrating influential women in the arts and entertainment industries. It coincided with the US presidential campaign and was at a time when American protest groups demonstrated about the lack of black models in the fashion industry. This inspired Italian Vogue to elevate the debate and make it more public. The feedback was overwhelming, mainly positive, where newsstands from Milan to New York were inundated, with an increase in sales by 40%. Despite some critics view that A Black Issue was nothing else but a cynical sales campaign by Vogue Italia, sold and distributed in a country still challenged by racism, most felt it was a tribute to black people achieving equal goals to their non-black counterparts. The team at Konstantin Grcics studio collaborated with the Italian furniture producer Plank and chemical company BASF to create the MYTO Chair. Reinterpreting the typology of the cantilever chair, it was designed primarily as a manufactured chair that utilises BASFs engineered plastics. The design development took place within the space of one year, during which Grcic experimented with the creative potential of the material Ultradur® High Speed (PBT  polybutylene terephthalate) and as a result found that the materials properties shaped the final form. Its extraordinary consistency, strength, viscosity and thermoforming abilities meant that the fluid plastic could be injected into a monoblock. The supporting frame would harden and conform to the perforated seat and back, dissolving seamlessly into the net-like perforations of the structure, presenting an elegant transition from thick to thin cross-sections. Shepard Fairey is a street artist renowned for his prolific fly posting of propaganda style artwork and Andre The Giant Icon images and to date has attracted a large international following. As an industry leader, Fairey was commissioned by the initiative Artists for Obama and the Inaugural Committee to create limited edition work for sale in order to raise money and awareness for Obamas 2008 Presidential Campaign. Based on the image taken by the Pulitzer Prize winning photographer David Turnley, the initial Obama posters created by Fairey were the PROGRESS and HOPE images. Then, working on his own initiative, Fairey used both these images as part of an unofficial viral poster campaign to help bring awareness to Obamas Presidential Campaign. The artwork was then iterated to create more posters with the words CHANGE and VOTE to further spread the candidates message and meet the incredible demand for the artwork. The posters demonstrate the cultural momentum surrounding Obama and his campaign. The first magazine devoted entirely to DIY technology projects, MAKE Magazine unites, inspires and informs a growing community of resourceful people who undertake amazing projects in their backyards, basements, and garages. 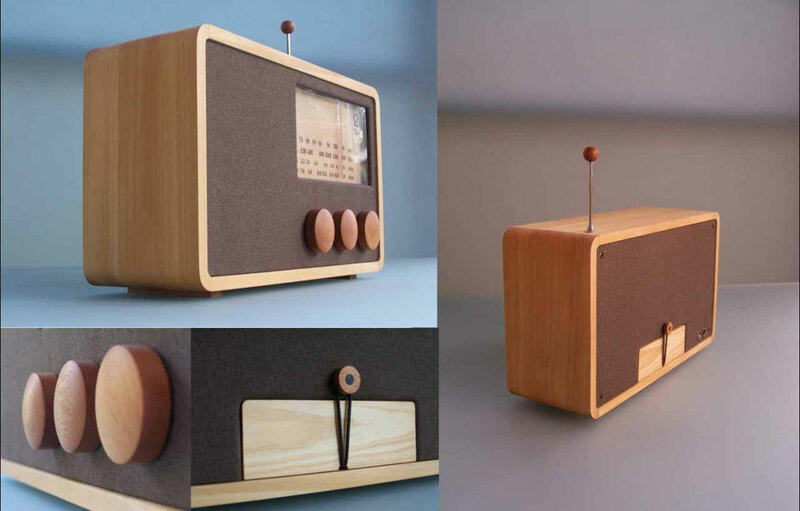 The Magno wooden radio is a small and simple radio, encased in a shell of wood is an example of Indonesian entrepreneurship and design employing local manufacturing resources. Singgih Susilo Kartono is the creative brains behind this idea, designing the radio to help revive the economic conditions and employment prospects of Kandangan. His intention through this project was to try and change the villagers dependency on cities and create a community that was more reliant on local services. As a result the villagers adopt a new set of craft skills, including carpentry that can be passed on. They also use locally sourced sustainable materials helping to sustain economic conditions within the area. Client: Metro de Medellin Ltda. Medellin City in Colombia is setting an example of how the traditional cable car mainly used in skiing resorts is also a means of transportation in an urban environment. With the introduction of the J-line Metro Cable to the Medellin Metro network, people living in the hillsides can gain access to the city in a convenient manner; its a service that enables the poorer suburban communities to travel in an efficient and environmentally friendly manner. The French supplier of the cable cars, Pomo, have designed the cable cars for the J-Line to compliment its use as well as its landscape to such an acclaim that the United Nations is reviewing the concept to be implemented as part of a wider sustainable transportation scheme.